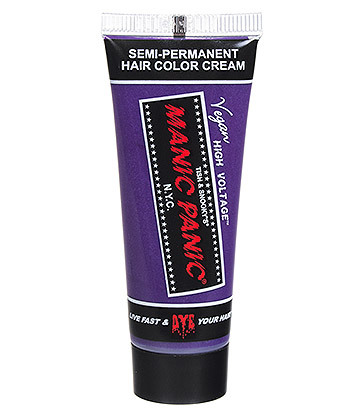 Manic Panic Minis have landed at Blue Banana and they are totally adorable! 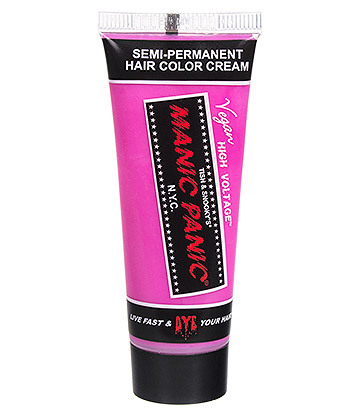 These 25ml hair dye tubes of your favourite classic colours are only £1.99 so if you only need enough hair dye to do a touch up or create a punky colour streak then why not consider the smaller companion to the classic Manic Panic hair dye range and shop professional hair colour online. 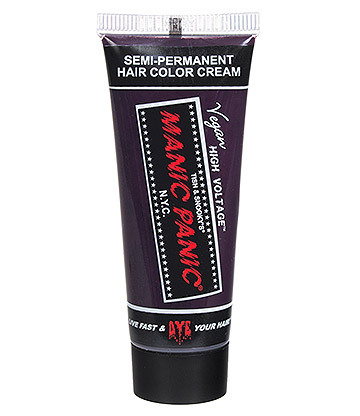 We have ten of your top hair dye colours in stock to help you create the hair colour of your dreams. 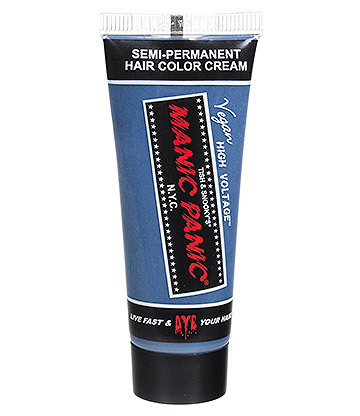 From deep blue to crazy green, these hand-picked hair colour products are great for topping up your basket and topping up your hairstyle. There are a number of styles you can try out with the mini collection but it does depend on the length of your hair. 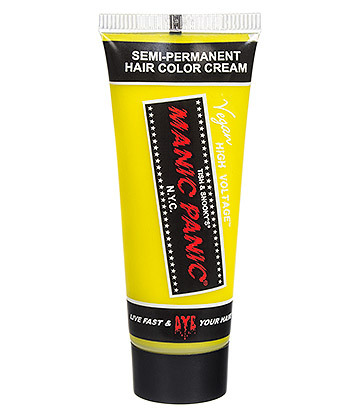 If you have a super short style you might find there is enough dye in this hair dye tube to give you full coverage but for longer locks, colour streaks are the best option. If you are new to hair dye then adding a few cute colour streaks to your summer style is the perfect introduction to colouring your hair. You can enjoy professional hair colour at home and give yourself time to get to grips with the dyeing process. Our first tip, which every hair colourist will tell you, is make sure to use old towels and remove any excess hair dye from your skin straight away. Hair dye is designed to dye your hair, so naturally it dyes other materials too. Next, decide which streaks of hair you would like to colour and separate them out. Now you are ready to apply the colour! When it comes to hair dye the application process can vary between brands so we recommend always reading the instructions. You will also find the ingredients are different in every brand which is why you should always perform a patch test before you begin. Like we said there are ten colours to choose from, but if you can't choose just one then why not mix and match? This chart of colours is a great chance to try out a funky rainbow style or ombre effect. This purple, blue and grey combo could give you a sweet blend that is sure to make a cute ombre look. Just like creating colour streaks, if you are trying a rainbow style you will need to separate your hair into sections before you begin and remember to keep track of which colour you would like where. If you are planning to blend the colour then simply overlap your colour sections. Alternatively, you could add hints of colour to a single base colour to create your own hair colour products with highlights. This is sure to be a quick and easy way to freshen up your look. If you have already dyed your hair with a Manic Panic semi-permanent hair dye then you may need some extra colour for a touch up. 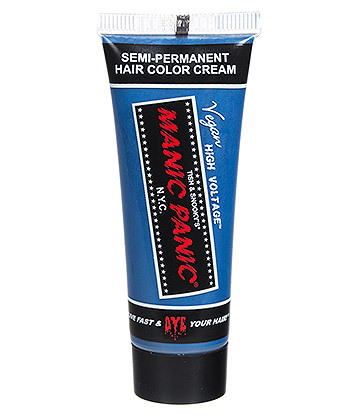 If your shade is in our 25ml minis range then this handy pocket sized bottle is sure to become your BFF. Keep your colour fresher for longer with this travel sized tube. 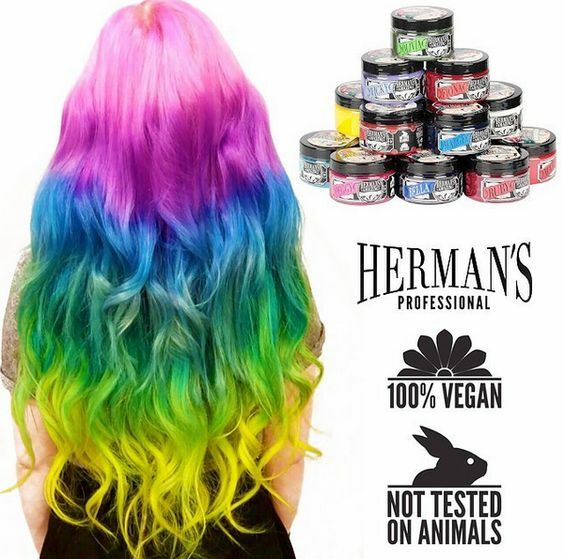 Like we mentioned, this colour range can be a great opportunity to create your own rainbow style. 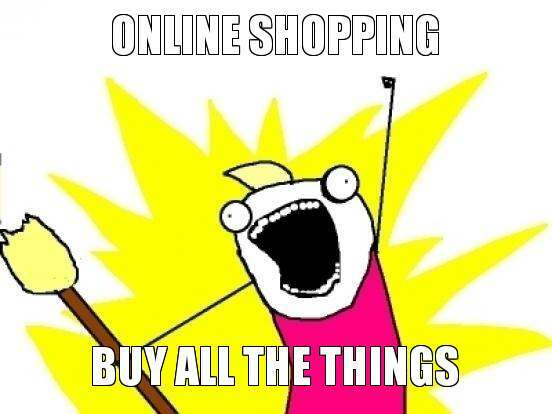 Choose a collection of 4 -5 colours, or go for even more if you would like a ton of shades! 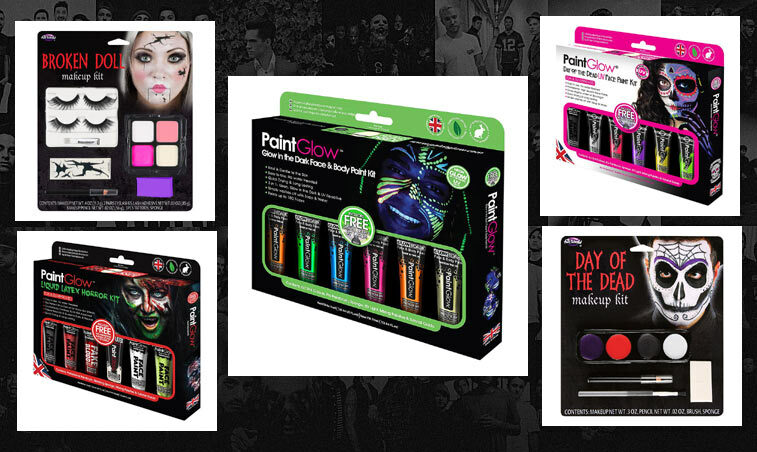 The combo is sure to give you a fun array of colours and you won't end up with too many half-used pots of hair dye. 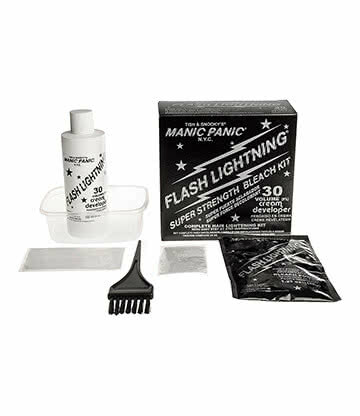 Like with any type of hair dye, for the best results you may need to lighten your hair first. Usually you can achieve a colour tint with your natural shade but the results will vary and won't be as vibrant as applying to pre-lightened hair. 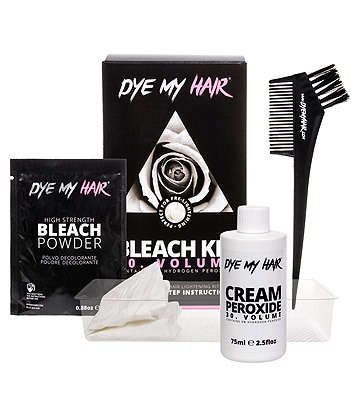 This semi permanent hair dye will last for 4-6 weeks so it is worth bleaching and toning your hair to make sure your colour lasts and gives you the right results. 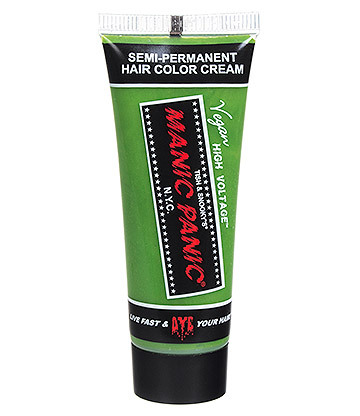 When you purchase Manic Panic hair dye you will be receiving a vegan friendly products that is PPD free. 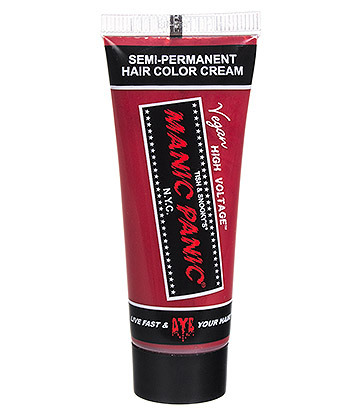 This formula will minimise the damage caused to your hair by conditioning as it colours. We would love to know which colours you would combine for a rainbow style so be sure to let us know on Instagram, Facebook or Twitter! 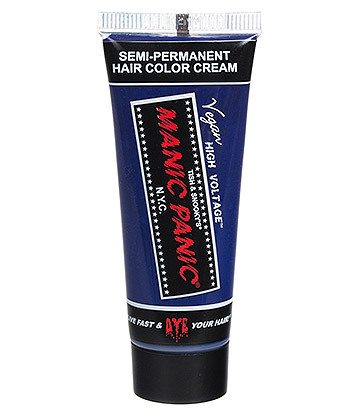 With the hair dye tube mini collection you can try out a new look for pocket money prices.